Driven by the belief that every person has the right to “know more about themselves”, LoveMyHealth™ empowers us to learn what makes us unique. LoveMyHealth™ is designed to help us uncover useful information about ourselves encoded in our DNA. Specifically, the report details our nutrition and wellness needs, providing recommendations that we can act on everyday. This test creates your very own “Owner’s Manual” in an easy-to-read, personalized online report. Information provided in the report falls within categories, including: Diet, Food Sensitivities, Specific Nutrient Needs, Physical Fitness, Mental Well-Being, Detoxification, Obesity Risk, and Hormonal Health. Dr. Aaron Goldman, Chief Science Officer at DNA Labs, highlights that “our LoveMyHealth™ test provides answers to simple questions that everyone has everyday, like: ‘What is your ideal fitness plan? What foods are you sensitive to? What supplements should you be taking?’ This test report provides valuable evidence-based recommendations.” Michael S. Kerzner, Chief Strategist, remarks: “our DNA makes us who we are. Now we have a much clearer idea of how our DNA works and how it impacts our health. Our LoveMyHealth™ test allows individuals to make decisions on their health based on their DNA”. 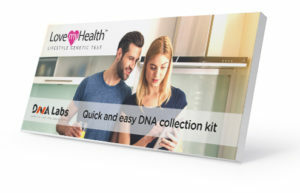 DNA Labs invites everyone to join us in taking the first step in the journey to learn more about ourselves by purchasing LoveMyHealth™ today.